Throughout the globe spectacular growth has been registered in F&B market. It seems that limitless investment had been done and more to come to serve the appetite of population living on the planet. Indeed, the underlying continuously changing food trends, demand for ready to eat and increasing per capita income probably are the foremost reasons for exceeding fast food franchise around the world. For instance, countries like India, UAE, Thailand and Indonesia have emerged as tempting destinations for both global corporations and new entrants. Among all Indian market is considered as money-spinning because a extremely varied, growing and comparatively young population, increasing tourism and Eating out habit has mesmerised domestic and global food industry giant to invest. India is one of the world’s biggest food and drinks market in terms of size measured by different business analyst firms in 2016. Amidst challenging environment Indian market has shown exceptional resilience over the last 2 years. Despite economic troubles or issues recent consumers surveys shows that food loving people are consuming more and have developed dining out habits. India is famous for heritage, natural beauty and diverse culture in all over the world. These attributes has generated more tourism activities, numbers of visitors from across the globe stunned by all these. India as a whole emerged as respected place where you can find every variety of international food items. On the streets of metropolitan cities delicious cuisines can steal your eyes so be careful. Indian food and beverage industry is on upper hand because billion dollar investment had been made every year and still there is enough potential left in the market. 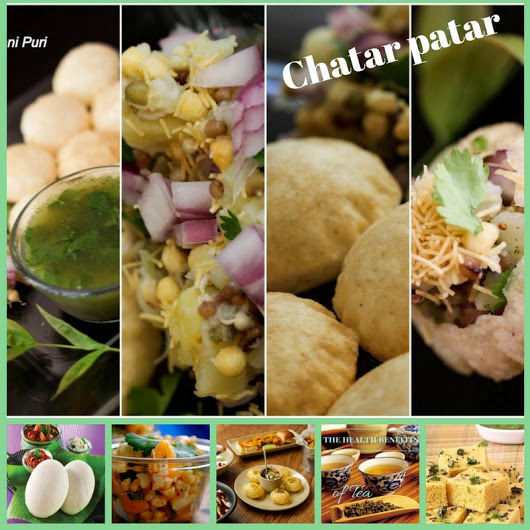 Brands like Chatar Patar have changed the fortune of unorganized market share by its unique product line and innovative business plan. Thus it is to be concluded that food and drinks industry has contributed majorly to Indian economy as well as food franchise has dominates the industry.